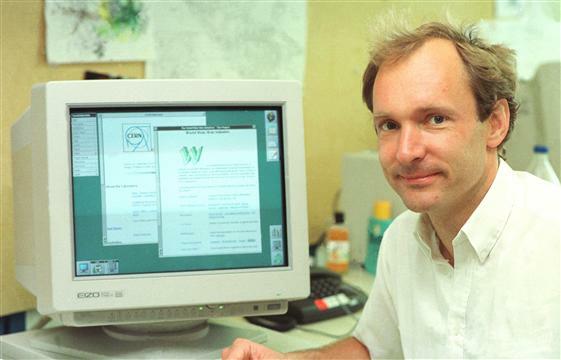 Em março de 1989, enquanto trabalhava no CERN, Sir Tim Berners-Lee escreveu sua primeira proposta de um sistema de hipertexto baseado na Internet para conectar e acessar informações em diferentes computadores. Really interesting! What’s your native language? How did you end-up in Amazon forest? Waldemar M. Reis – ” Really interesting! What’s your native language? How did you end-up in Amazon forest?” – Hi, Reyes… native language is portuguese and I end-up in the jungle due an existential crisis – not finding my place in civilization. Also, it was due a existential question that arose at high school when the science teacher told about abiogenesis, evolution and Big Bang Theory and the school principal, which was a catholic priest came quick teaching the Bible theories. I thought that two world view were wrong and the best answer should be find in virgin Nature beginning the investigation with different methods. At that time I build a restaurant at a gold mine in the jungle, got a manager for taking care of it and sending my money to a village next my location for buying supplements. After two malarias and lots of suffering I was brain-washed from all scientific philosophers’ books had read before and the jungle furnished the content for to fit the brain with something again. It was a weird experience, I know, but the results are philosophically interesting, I think, and I need to face it with yours understanding, because I am still searching the truth. Great, @Luis Morello, I see we have a lot to talk about and an additional channel to do it. Do you have any online published material on your findings? Waldemar M. Reis – Great, I hope you keep interested because I need know what other mind think about this world view and I think that will be good for you because it suggests lots of new food for thought. I have difficult with computers because in the jungle there was no such thing so my website is technically poor, but in the home page there is a resumed introduction with drawings and formulas and I am posting everyday the evidences I am finding facing new scientific discoveries ( the posts are in portuguese, Artigos). I don’t know if I can give the address here. What do you think about this suggestion? : Humans has broken Universal History into two separated blocks (Cosmological and Biological Evolution) with no evolutionary link between them. Since there is no such separation, humans got a black hole between the two blocks, a big abism, in the way that biological systems (aka, life) can not be explained, and without a biological approach at cosmological evolution we are getting a very wrong interpretation of universe origins also. Since humans need answers, the hole is fitted with mysticism, so arises the creationist and the materialist mythos. Both beliefs are appeals to metaphysics. When you discover the evolutionary link in shape of the building block of astronomic systems, and you perceives that this link is exactly the fundamental building block of biological DNA, you have connected all natural systems in a unique evolutionary lineage, from the Big Bang to humans. It makes sense for you? I think no, right? @Luis Morello, the idea that the Cosmos (Organized Whole) has a single principle is as persistent or close to this) in human existence as our consciousness, I believe. The difficulty we have in this field is that we van’t agree upon this universal starting point. Let’s see, after being in contact with more from your material, whether or not we finally ended this quest. Waldemar M. Reis – I hope that our focus will be must about facts here and now, than talking about universe origins which is a far away issue, and we easily falls into metaphysical debate. I think the best practical utility for our life just now suggested by this world view is the new systemic thought to be added to the usual reductionist thought. There are lots of millenar diseases waiting for to be eliminated – like cancer, bad cholesterol, Alzheimer’s, et. – because the reductionist approach is not working, since they are produced by the body as a system. A big novelty from this world view is the universal natural formula of all systems – from atoms to humans bodies – a common pattern of a flow of energy/information running as a systemic circuity connecting all parts. The knowledge about natural system is stopped since 70 years ago when Mathematicians like Wienner and Rosenthal’s changed the investigation to artificial systems and cybernetics. The last big work about natural systems was done by Bertalanfy with his book “General System Theory” libe Sir Bacon did when compiled all known data at his time beginning the reductionist method. The problem that natural systems stopped at Bertalanffy was that he did not know what a natural system is, since that he did not know the formula for systems. The building block of DNA – two lateral base-pair of nucleotides – is a working system in itself modeled by the formula. So, while biologists does not know this, they can not understand genetics in full, so, the big genetic puzzles, like the causes of diseases will not be solved by this reductionist method. Ok, I am going away from the topic, sorry, but this is an argument for what can be more useful just now than astronomy and the Cosmos. Am I right? @Luis Morello sounds like a version of a computer simulation. You might want to put this up in the group as a post and not in chat where subjects get all mixed up. Think about how best to express your theory and what evidence makes you think it works better than more conventional ideas. Aviso: postei um post aqui ( dia 10/27/18, mais ou menos as 4:00 pm) iniciando algo como ” No, it is not a computer simulation…” o qual provocou a resposta abaixo do Matthew, mas o post sumiu… será que foi deletado por alguém ou por mim? Matthew rapaport – Good point. We know that non-rational animals experiences the same “joints in reality” that rational humans are experiencing, I think that non-rational animals interpretations or “all recognition” are very different. It is enough to remember the difference when a species knows about DNA and other does not. So, my interpretation of the world and the way I am experiencing joint reality is based on the knowledge that the atoms composing everything here, and the astronomic system which created everything here and in which everything here is inside it – has another shape of biological DNA, which I called Matrix/DNA. The results is that I see the world (my body,the social systems, this planet, why we eat, etc.) very different than you see. It could not have very different world view from ours if our world view is almost the true, or the final true. But, if we are away off the beam ( and my world view is suggesting this is the case), it offers chances to thousands of other different world views. Am I wrong? LinkedIn boasts an impressive 332 million customers and Twitter 284 million. This article will not use any studies, data, sources, etc. This is because you can easily get that from any other technology news website and analyze from there. I’m here to provide a different view based off of my life in this “highly coveted” age bracket. That being said, I’m not an expert at this by a long shot and I’m sure there will be data that disproves some of the points I make, but this is just what I’ve noticed. I think the best way to approach this would be to break it down by social media network and the observations/viewpoints I’ve gathered over the years. In short, many have nailed this on the head. It’s dead to us. Facebook is something we all got in middle school because it was cool but now is seen as an awkward family dinner party we can’t really leave. It’s weird and can even be annoying to have Facebook at times. That being said, if youdon’t have Facebook, that’s even more weird and annoying. Weird because of the social pressure behind the question, “Everyone has Facebook, why don’t you?” and annoying because you’ll have to answer that to just about everyone in classes you meet who makes an attempt to friend you or find you on there. 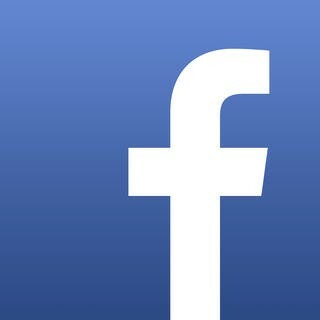 Facebook is often used by us mainly for its group functionality. I know plenty of classmates who only go on Facebook to check the groups they are part of and then quickly log off. In this part Facebook shines—groups do not have the same complicated algorithms behind them that the Newsfeed does. It is very easy to just see the new information posted on the group without having to sift through tons of posts and advertising you don’t really care about. Messaging on Facebook is also extremely popular among our age group, mainly because they provide the means to talk to those people who you weren’t really comfortable with asking for their number but comfortable enough to send them a friend request. Facebook is often the jumping-off point for many people to try to find you online, simply because everyone around us has it. If I met you one time at some party, I’m not going to try to check Twitter or Instagram to find out who you are. Instead, many opt for the ease of Facebook and the powerful search functionality that gives you results of people who you actually have a chance of knowing (unlike Instagram, whose search functionality, although it improved slightly in the last update, leaves much to be desired). I’m not terrified whenever I like something on Instagram that it will show up in someone’s Newsfeed and they’ll either screenshot that I liked it or reference it later. The same goes for commenting. I am not as pressured to follow someone back on Instagram, meaning my feed is normally comprised of content I actually want to see. That being said, I will come back and scroll through an application that has content I enjoy rather than one where I have to find the occasional diamond in the rough. The content on Instagram is usually of higher quality. People take time to edit their photos with filters, use different brightness/contrast settings (it’s even one of the steps to posting a photo), etc., to make the pictures look the best they possibly can. This means the content on Instagram is normally “better” (photo-wise), so I am more likely to go back to the application. Instagram hasn’t been flooded with the older generation yet (noteveryone has an Instagram) meaning it’s “hip” and “cool” to the younger crowd. However, it is popular enough that if you have a smartphone it’s almost unheard of for you not to have Instagram, if not to take pictures, but to at least tag people in photos. Another point: tagging. I don’t have to constantly check Instagram to make sure I wasn’t tagged in any awkward or bad photos. That’s becauseyou can’t easily see them in your feed, making the whole experience seem way more private. Am I looking weird in a photo you posted? Who cares—I can just delete the tag if I really am that upset about it without fear that my friends from another social circle (who don’t follow you) will get to it first. I know Facebook has the ability to let you check every single photo tagged of you before it appears on your profile, but many people I know do not have that enabled or know it even exists. 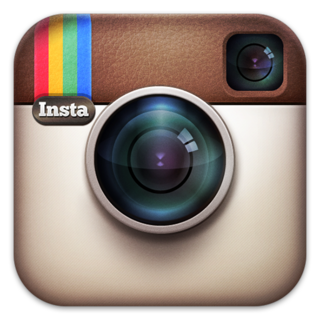 People do not post 10000 times a day on Instagram. Many are much more polite about posting, either doing once a day, a few times a week, etc. This means that there isn’t a constant flow of content being shoved down my throat every time I open the application, and it is possible to be “caught up” with my Instagram feed. Those are some reasons why many people my age tend to use Instagram more than they do Facebook. Everything about the application makes it less commercialized and more focused on the content, meaning more teens are inclined to visit it. When we do visit the application it is a much more pleasant experience so we are more inclined to Like and interact with the posts more. This increases our interaction with the application, meaning we will use it more, etc. Facebook gets all of the photos we took — the good, the bad, etc—while Instagram just gets the one that really summed up the event we went to. It is much more selective, and honestly people spend more time on the captions to make them relevant/funny. On Facebook we just throw up everything we got so people can tag each other and show our family members that we’re still alive. Many of those younger than me (10–16 years old) who I’ve talked to about this matter don’t even have a Facebook — Instagram is all that they need. To be honest, a lot of us simply do not understand the point of Twitter. There is always a core group at every school that uses it very religiously to tweet and another group that uses it to simply watch or retweet, but besides that many don’t use it. It also isn’t extremely easy to find friends on the site and many just use it to complain about school in a setting where their parents/family members (not necessarily employers) are likely not to see it. Twitter is a place to follow/be followed by a bunch of random strangers, yet still have your identity be attached to it (this distinction will be important later on). Your tweets are also easily searchable on Twitter which is good but not good if you want to be yourself and not have it follow you around when you’re trying to land a job. Thus, to others Twitter is used like Facebook—you post with the assumption that your employer will see it one day. 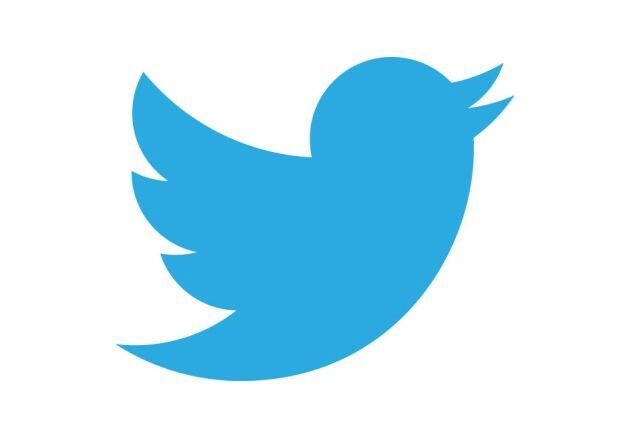 There are then three main groups of Twitter users: the ones who use it to complain/express themselves, the ones who tweet with the assumption that their prospective employer will eventually see whatever they are saying, and the ones who simply look at other Tweets and do the occasional RT. Snapchat is where we can really be ourselves while being attached to our social identity. Without the constant social pressure of a follower count or Facebook friends, I am not constantly having these random people shoved in front of me. Instead, Snapchat is a somewhat intimate network of friends who I don’t care if they see me at a party having fun. On no other social network (besides Twitter possibly) is it acceptable post an “I’m soooo bored” photo besides Snapchat. There aren’t likes you have to worry about or comments—it’s all taken away. Snapchat has a lot less social pressure attached to it compared to every other popular social media network out there. This is what makes it so addicting and liberating. If I don’t get any likes on my Instagram photo or Facebook post within 15 minutes you can sure bet I’ll delete it. Snapchat isn’t like that at all and really focuses on creating the Story of a day in your life, not some filtered/altered/handpicked highlight. It’s the real you. 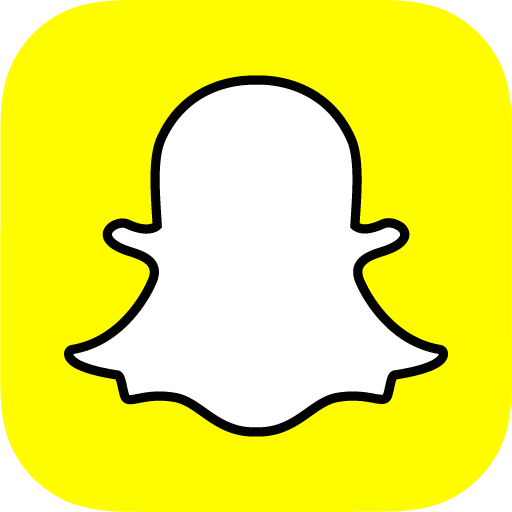 Another quick aside about Snapchat—I only know a handful of people (myself included) that believe Snapchat does delete your photos. Everyone else I know believes that Snapchat has some secret database somewhere with all of your photos on it. While I will save that debate for another day, it is safe to say that when photos are “leaked” or when there’s controversy about security on the app, we honestly do not really care. We aren’t sending pictures of our Social Security Cards here, we’re sending selfies and photos with us having 5 chins. Remember in the section on Twitter I said, “Twitter is also a place to follow/be followed by a bunch of random strangers, yet still have your identity be attached to it”? Tumblr is a place to follow/be followed by a bunch of random strangers, yet not have your identity be attached to it. Tumblr is like a secret society that everyone is in, but no one talks about. Tumblr is where you are your true self and surround yourself (through who you follow) with people who have similar interests. It’s often seen as a “judgment-free zone” where, due to the lack of identity on the site, you can really be who you want to be. The only Tumblr URLs I know of people in real life are my close friends and vice versa. Plus, it’s simple in Tumblr to just change your URL if anyone finds you. Your name isn’t attached to that profile at all so without that URL it is pretty difficult to find you again, especially for the typical parent snooping around. This really helps make the site a place where people can post and support others posts. There is a lot of interaction on this website in the form of reblogs because people just simply have feeds of only things they care about (and are then more likely to support with a like/reblog). I wouldn’t say a lot of “socializing” — at least in the way we’ve defined it in our social media society—occurs on the site, but people can really easily meet others worldwide who hold similar interests. This makes it a very alluring site to join for many teenagers, even just to make new friends. 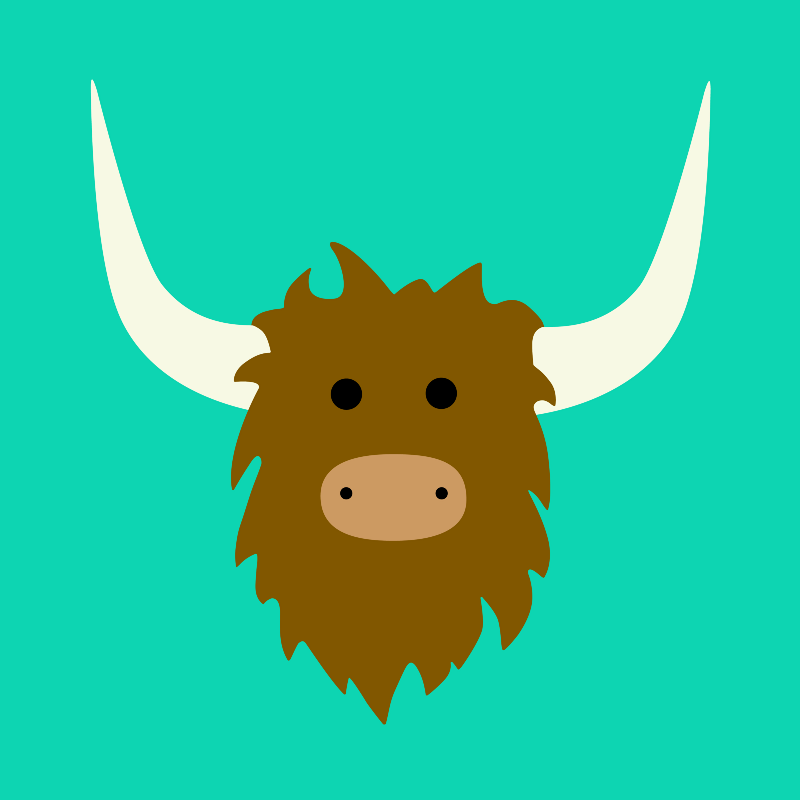 Yik Yak is a rather new contender, however, a ton of friends in college have the application. It has gotten to be so addicting because it focuses solely on the content of your posts—there are no followers, no profiles, nothing. Whatever is funny/relevant is at the top and everything else is at the bottom, whether Kanye West is the one who is writing it or some random kid who never talks in class. There’s an advertisement I see often on Twitter for Yik Yak that says something along the lines of “Everyone’s on it before class starts.” I can 100% reaffirm that this is true. And everyone’s on it during class, talking about the class they are in. And everyone’s on it after class to find out what else is going on around campus. While it hasn’t reached the popularity of the other networks, Yik Yak is a powerful contender that people actually use. Often I see people post about the fight for anonymity with other applications such as Secret. I can tell you that I do not know a single person in my network who uses that application. People reference Yaks all the time with each other or send screenshots, I have yet to ever hear of a hot post on Secret that everyone’s talking about. A negative to Yik Yak, however, is how unused the application is whenever there is a school holiday. Yik Yak is only as good as the 10 mile radius around you, so if you are in an area with a low population of Yik Yak users, you won’t really be using the application much. The same can’t be said for the other social media sites on this list. Many of my peers look for platforms to begin a writing blog that they can share with their friends and family. When I hear my friends say this, they automatically think of creating a WordPress site. For some reason, WordPress seems like the more “sophisticated” website to begin a blog. 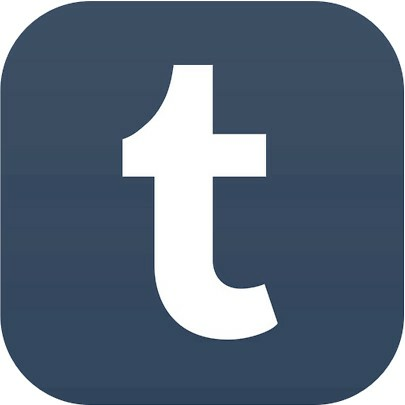 Others who have had experience with Tumblr will choose to open up a separate blog on there, one that is not connected to their “personal” blog on the platform. However, once I have introduced Medium to those my age, I have never seen them turn back in terms of a platform to publish a blog. What Medium does right is the “recommend” function. This is unseen on WordPress (besides the typical website sharing buttons) and is really what makes Medium a community, not just a bunch of individual sites. Having a simple “Follow” system also makes it so that you come back to Medium even if you aren’t looking to write a blog. 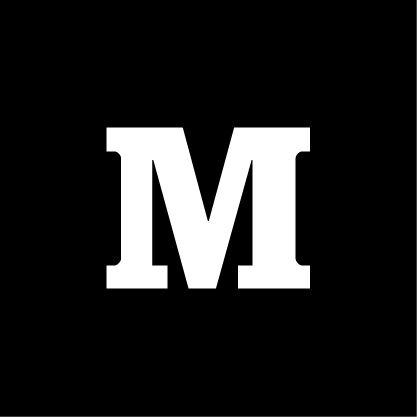 Medium also has an emphasis on commenting right next to the text (as opposed to a lengthy comment section at the bottom). Medium’s only challenge is becoming known to the teenage audience. The layout of the site as well as the content is all there, what is needed is just the recognition of our age group. I feel that over time as more teenagers begin to discover Medium, many of my peers will begin blogging here. LinkedIn — We have to get it, so we got it. Many wait until college to get this (as they probably should, it isn’t for this demographic anyways). Pinterest—It’s mainly female-dominated and is for those who have an artsy/hipster focus. Not too many people talk about it. Kik—It’s a messaging application that is mainly used for messaging people on Twitter I guess? I don’t know anyone who uses it. The only time I ever hear this application is for the joke, “Aye you got Kik?”, normally seen as someone trying to “spit game” to attract a partner. It’s really difficult for me to describe it here but it isn’t super relevant. WhatsApp—You download it when you go abroad, you use it there for a bit before going back to iMessage and Facebook Messenger, then you delete it. I know tons of people who use it to communicate with friends they made abroad, but I feel like Messenger is beginning to overshadow it. For international students, however, WhatsApp is a pivotal tool that I’ve heard is truly useful. GroupMe—By far the most used group messaging application in college. Everyone has one, uses it and loves it. GIF support, the ability to “like” others messages, even trivial things such as being able to change your name between group chats all make this both a useful and enjoyable application. GroupMe also works for literally any phone or device…it is on desktop, iPhone, Android, and can work over text as well for those who may not have a smartphone. O Mundo na Corda Bamba: Internet é Controlada por Sete Códigos em Mãos de 14 Pessoas! Eu nada entendo da tecnologia da Internet mas como a Internet é uma fôrça poderosa no mundo humano este assunto deve interessar aos leigos. Portanto é bom ler o artigo com link abaixo e assistir seus vídeos. Infelizmente me parece que a Internet não é como as nuvens do céu que fluem, se formam e desaparecem sem controle de ninguem, nem mesmo do planeta. A Internet se constitui de circuitos elétricos os quais tem que correrem dentro de cabos e todos os cabos tem que ter uma fonte inicial… e esta fonte sendo algo fixo e imovel pode ser dominada, controlada, por algo ou alguem. E de fato ela existe e está sendo controlada por alguns pouquissimos humanos,… 14 no total ! Quem são estas pessoas?! Que possuem o poder sobre o mundo? A meu ver este controle tinha que ser da ONU, mas ao mesmo tempo sei que a ONU não se garante em manter segredos, os delegados estão sendo sempre substituidos e revelam os segredos tratados na ONU a seus governos… muita gente, portanto. Claro, nenhuma outra organização no mundo conseguiria tal mobilização na Internet, e se tentassem a coisa seria tão lenta que o governo iria se rir da infantilidade. Alem disso nenhum humano iria querer a destruição da Humanidade levando ele mesmo junto. Mas a organização dos sete que possuem o código total da Internet poderia fazê-lo…? Na minha cabeça se formou uma imagem metafisica do que é a Internet, e peço a quem possa me informar se estiver errado. Vamos lembrar aquelas imagens nas telas sobre os raios X de cérebros funcionando, com as sinapses aparecendo como raios elétricos pipocando aqui e ali. Em volta daquele foco de raios luminiosos tem a massa cinzenta mas como aquilo produz os pensamentos, que são coisas invisiveis, imagino que o conjunto de todos os pensamentos é como uma nuvem invisivel iluminada pelos raios, a qual denominamos “mente”. Bem, isso ér a mente individual dentro de uma cabeça humana. Mas os humanos conseguem fazer suas mentes se comunicarem entre si, então o conjunto de todas as mentes humanas formariam uma invisivel camada mental coletiva rodeando rente a superficie da Terra. Vamos chama-la de mente coletiva, e se a entendemos como uma nuvem invisivel iluminada por raios, estes raios seriam os circuitos elétricos carregando os sinais nas comunicações entre humanos, seja por telefones, televisão, etc., mas principalmente pela Internet. Se isto estiver correto, a evolução está conduzindo o desenvolvimento de uma consciencia unica planetaria como fêz com a primeira célula viva que apareceu no planeta, depois se multiplicou e suas cópias se re-organizaram num só sistema criando os organismos multicelurales. Mas agora, no nivel mental, seria o reverso caminho, ou seja, todas as células diferenciadas se re-organizando como uma unica gigantesca célula… ?! No controle de todas as células está um unico agente, o DNA. No controle de todas mentes individuais… terá um unico agente? Se sim, qual é? Não quero influenciar este raciocinio com minhas tendencias e ideologia pessoal, a qual tem uma resposta direta: a Matrix/DNA. Quero ao contrario manter a mente aberta para pensar melhor este fenomeno, mas acontece que ele é tão complexo, como um detonador de mentes. A mente que tentar resolver isto começa a querer explodir, e ao menos no meu caso, sou levado a interromper e fugir do assunto imediatamente, como vou fazer agora… Good-byeeeeeee…..
A Matrix/DNA tem que ficar atenta aos sinais das fôrças que atuam no sentido de levar a Humanidade ao “Admirável Mundo Novo” sob o governo da “Mãe-Rainha”, tentando reproduzir o ancestral mecanicista e atrapalhando ou interrompendo a evolução da auto-consciência. A Internet é fator fundamental nesta vigilância. Science X is a network of high-quality websites that provides the most complete and comprehensive daily coverage of science, technology, and medical news. Phys.org internet news portal provides the latest news on science. Medical Xpress covers all medical research advances and health news.